By focusing on quality, this niche manufacturer of farming machinery is thriving in a market dominated by imports. NDF Ag-Design makes disc planters that are pulled behind a tractor to plant seeds directly into soil. Unlike a traditional plough, these machines insert the seeds without turning over the soil, allowing paddocks to keep vital soil moisture and retain the stubble of the previous crop to prevent erosion. The Australian market for these machines is dominated by mass-produced imports, with some local manufacturers. NDF builds and designs its own disc planters, which can be adjusted to minimise soil disturbance and for different sowing depths. From leased premises and one part-time assistant in 2001 in the western NSW town of Narromine, NDF Ag-Design has grown to employ 15 workers in a large factory with a multi-million dollar turnover. 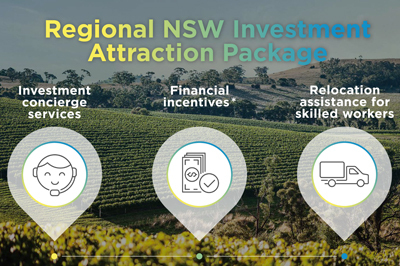 The company is just one example in the highly-skilled manufacturing sector in NSW, with innovative firms competing in a global market. Owner and designer Dale Foster said continuous improvement is the key to his success. "We're making a lot more components in-house, giving us better quality control and ensuring we can deliver equipment on time," Mr Foster says. four or eight times longer between services and major repairs. "This means big cost savings in the long run, and because of our reliability, little time lost for repairs. "We don't try to compete with cheaper or imported models. We're always working on our machines as part of product development, looking for new ways to make them the best." With more than 140 disc planters in the field on farms in all mainland Australian states, NDF Ag-Design is now reaping the benefits of repeat business. Staying competitive with imported machinery is the company's biggest challenge. "You've got to do everything you can to stay ahead of the competition, by constantly innovating, and providing high quality equipment that lasts," Mr Foster says. 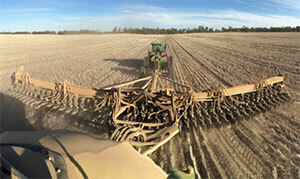 The NSW Government has advised NDF Ag-Design since its early stages of development. The department assisted the company to attend the Agquip trade show to create public awareness of its products, and encouraged Mr Foster to enter the AAFA Science & Innovation Award for Young Inventor of the Year, which he won. During a later period of rapid expansion for the company, the department provided financial assistance for NDF Ag-Design to invest in factory upgrades to keep jobs in the local community.